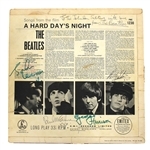 All four members of the Beatles have signed the back of this "A Hard Day's Night" album, with John Lennon and George Harrison signing in green felt tip pen and Paul McCartney and Ringo Starr signing in blue ballpoint pen. Additionally, Paul has added at the top right corner, "To The Johnson Sisters with love from The Beatles." The signatures on the album date from July/August 1964, shortly after the LP was released. These signatures have been authenticated by Beatles handwriting expert Frank Caiazzo and it comes with a letter of authenticity from Caiazzo. 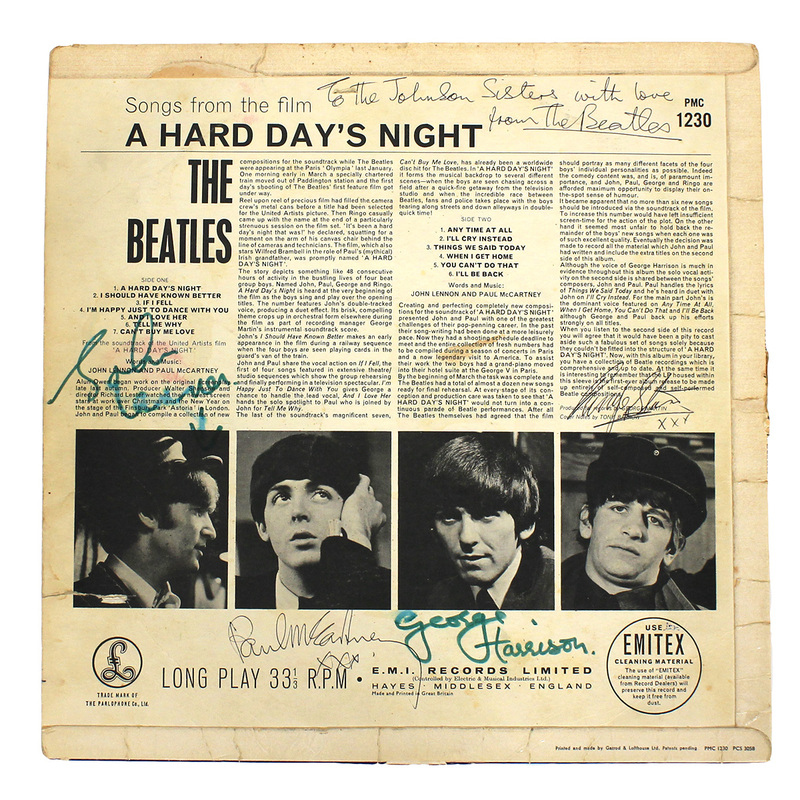 This signed album was originally obtained by a reporter named Johnson who was on assignment in England in the Summer/Fall of 1964 to cover a day with the Beatles, when he got all four Beatles to sign the album for his daughters, with McCartney kindly inscribing it to them as well. 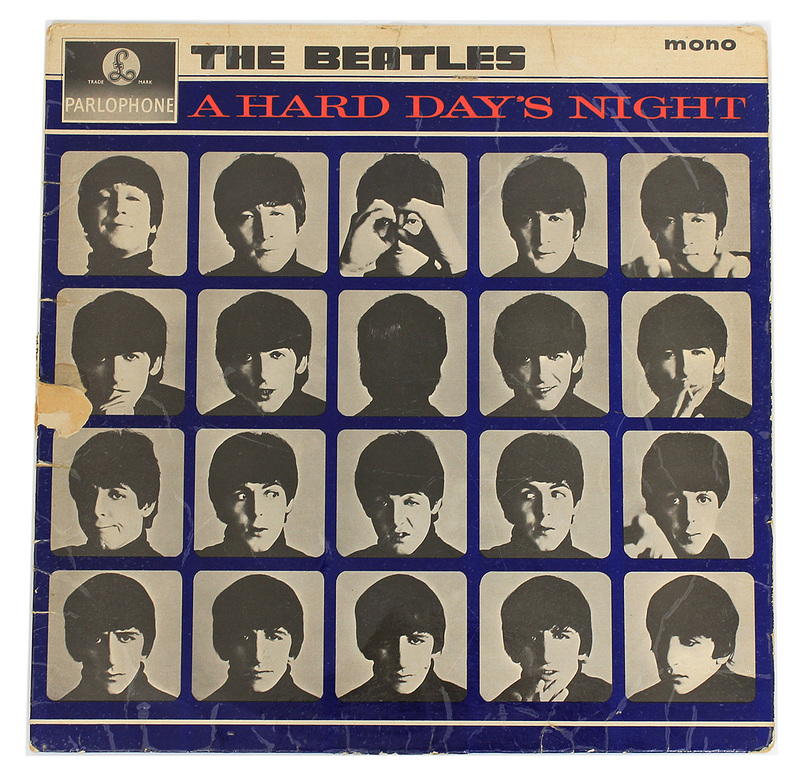 One of the daughters, Brenda, gave the album to her boyfriend on his 17th birthday in 1965, who kept the album for 35 years before selling it. Very good condition. Vinyl not included. The signed album comes with a letter of provenance from the individual who purchased it from Brenda's boyfriend and a Gotta Have Rock & Roll™ Certificate of Authenticity. Authenticated by Beatles handwriting expert Frank Caiazzo, if the high bidder wishes to receive a letter of authenticity from Mr. Caiazzo we will assist in this process.